Product prices and availability are accurate as of 2019-04-22 05:46:20 UTC and are subject to change. Any price and availability information displayed on http://www.amazon.com/ at the time of purchase will apply to the purchase of this product. The 5 amp 12 volt Battery Tender charger is a fully automatic High Frequency switch mode charger. 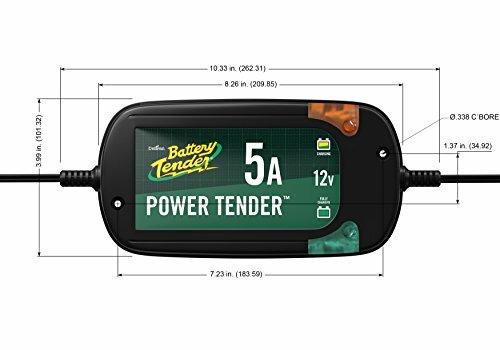 It has 4 stage charging (Qualification, bulk, absorption and float) When the recharge is complete the charger will float (maintain) the battery for an extended period of time at full state of charge. 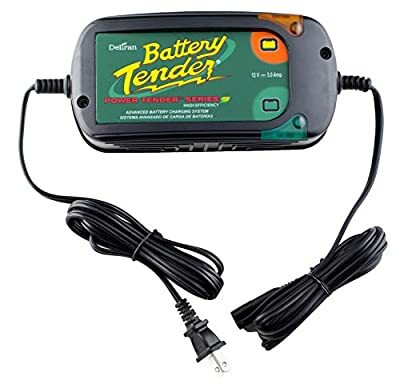 It is specifically designed for AGM batteries but will easily recharge all lead acid batteries form the small Powersports batteries up to and including large deep cycle batteries for automotive, marine, agriculture, construction, virtually any lead acid battery. 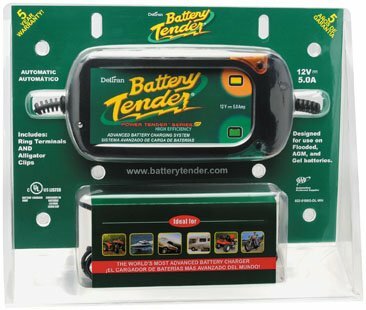 It is completely safe and includes a 72 hour timer to prevent further damage to marginal batteries. It is fully approved for the California and Oregon markets. It is a smart charger that you just put on and leave on until you are ready to use the vehicle.